When your first single from “Grease”, the biggest movie musical of all time, is the chart-topping “You’re the One That I Want,” and it becomes the best-selling duet in pop music history - that’s a tough act to follow. 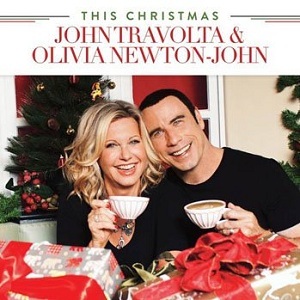 Almost 35 years later, John Travolta and Olivia Newton-John have combined their iconic voices for This Christmas, a newly recorded album featuring Christmas favorites with guest artists such as Barbara Streisand, Tony Bennett, and James Taylor! All of the songs are Christmas standards except for “I Think You Might Like It,” which is a newly penned song by John Farrar (Olivia Newton John’s long standing writer).Travolta and Newton-John will donate the artist proceeds from the album equally to their respective charities, the Jett Travolta Foundation and the Olivia Newton-John Cancer and Wellness Centre in Melbourne, Australia.